Choose from food grade silicone in spray cans to cover a larger area. If you need to pinpoint a precise gear or hinge, our oil and gel tubes will help, thanks to their smaller tips. Machine oil is great for maintaining slicers, while foaming food grade lubricant has extra clinging properties designed for chains, conveyors, and overhead apparatuses to prevent drips! Select your preferred type and quantity depending on the size and type of your machinery. Also make sure to check out other great items from Noble Chemical, Antunes, Carpigiani, Hobart and Stephan. Keep food safe lubricants in your kitchen to maintain your restaurant equipment. With our wide selection of food grade silicone sprays, gels, and oils, we make it easy to find safe and sanitary lubricants for your ovens, bottling machines, conveyor belts and chains, slicers, and more! For other useful kitchen chemicals and cleaning solutions, be sure to check out our degreasers, oven and grill cleaner, and deep fat fryer cleaner. 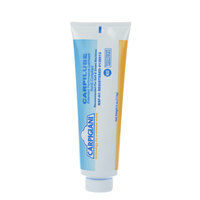 If you're wondering where to buy carpigiani food grade lubricants and food safe lubricants, we have a large selection of carpigiani food grade lubricants and food safe lubricants for sale at the lowest prices.